Glucosamine is a chemical that can be found naturally in the body. However, there are a lot of different factors that can negatively affect your supply of glucosamine, such as the natural ageing process, injury, trauma and other medical illnesses. 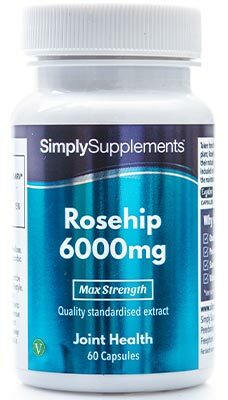 Simply Supplements Vegetarian Glucosamine 750mg capsules contain an exclusive formula created by the resident team of expert nutritionists to bring premium-quality glucosamine to customers who are vegetarian or suffer from shellfish allergies. Should I take Vegetarian Glucosamine 750mg Capsules? Vegetarian Glucosamine 750mg capsules are suitable for all customers, even if you are not a vegetarian. 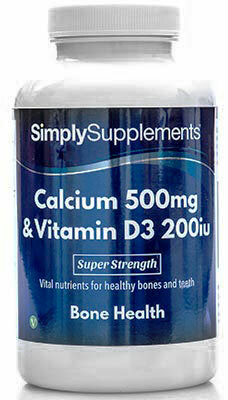 The real difference between vegetarian glucosamine and non-vegetarian glucosamine is the source. These Vegetarian Glucosamine 750mg capsules use ingredients that have been manufactured from corn. Other glucosamine supplements that aren’t suitable for vegetarians might choose to use ingredients sourced from shellfish. 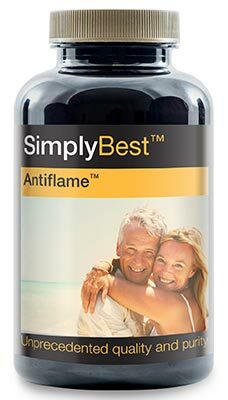 Simply Supplements Vegetarian Glucosamine 750mg capsules allow vegetarians to enjoy the properties of glucosamine without it having an impact on their health or lifestyle. 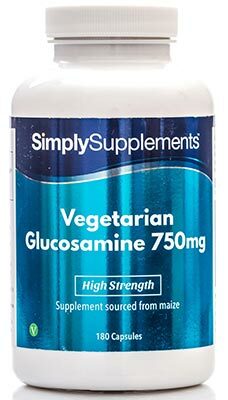 The vegetarian glucosamine hydrochloride used in Simply Supplements Vegetarian Glucosamine 750mg capsules is sustainably sourced from maize, which has undergone an advanced fermentation process. 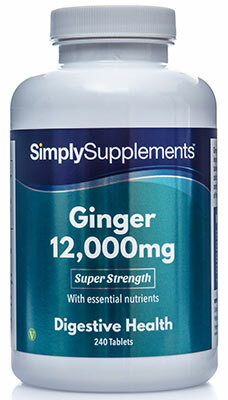 This allows the ingredients to develop over time, amplifying the nutrient content to maximise the potency. Simply Supplements work with industry-leading suppliers who work tirelessly to preserve the bioavailability of the corn used in Vegetarian Glucosamine 750mg capsules. The Vegetarian Glucosamine 750mg supplements utilise the EasyGest capsule system, which you will only find in products from Simply Supplements. EasyGest capsules help to provide an additional list of benefits you won’t find anywhere else. EasyGest capsules help to aid fast and effective absorption as the capsules can be digested within as little as thirty minutes of being swallowed. This helps to improve the efficiency of the premium-grade ingredients used. EasyGest capsules can also be opened and added to food or drink as another method of consumption if you struggle to take tablets or capsules orally. To complement the quality of ingredients present in the Vegetarian Glucosamine 750mg capsules, Simply Supplements have developed an intricate and advanced manufacturing process to help promote the overall quality of the capsules. As well as an advanced fermentation process, stringent and thorough sampling and testing techniques are used at every stage of the manufacturing process to eliminate the risk of contamination. Vegetarian Glucosamine 750mg capsules are foil-sealed to lock in freshness. All of our products in the Simply Supplements range are manufactured in the UK by our supplier, in accordance with the regulations and standards highlighted by the Good Manufacturing Practice (GMP) and the European Food Safety Authority (EFSA). 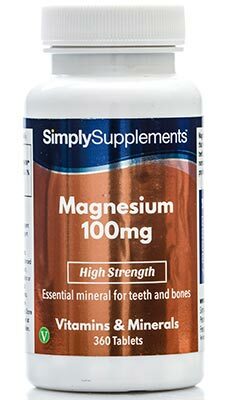 Ingredients: Vegetarian Glucosamine Hydrochloride, Capsule Shell (Hydroxypropyl Methylcellulose, Colourant Titanium Dioxide E171), Anti-Caking Agent (Magnesium Stearate).